However, it is the more morally ambiguous bigfoot hunters who make the most fascinating subjects in Matthews’ film. 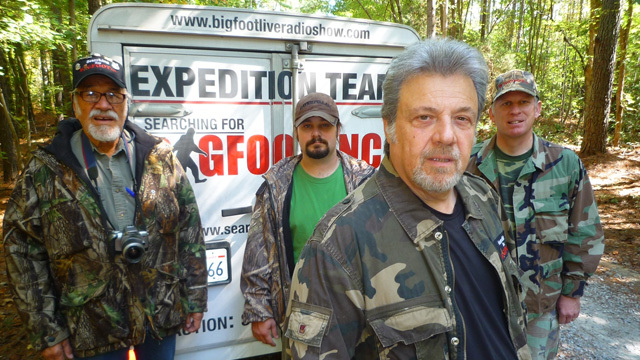 Rick Dyer, a man who attempted to hoax the Bigfoot equivalent of the 1990′s alien autopsy – is one of these. Dyer notes he ‘has no friends’ which is unsurprising from his intimidating behaviour and facetious opinions.Shooting Bigfoot even turns into a terrifying Southern Comfort/Hills Have Eyes style horror when showcasing Matthews’ hunting trip with Dyer who conveys a slightly darker side to his personality – resulting in a nerve-shreddingly tense and unsettling conclusion. An encounter with a shifty knife-wielding homeless man and his mysteriously injured dog on the same trip alludes to more terrifying behaviour than anything that a sasquatch could perpetrate. This was originally posted on The People's Movies.